The Academic Awards Committee of Columbia College is pleased to announce the 2018 winners of the student-nominated Lionel Trilling Book Award and Mark Van Doren Award for Teaching. Gareth Williams, the Violin Family Professor of Classics and chair of the Department of Classics, will be awarded the 43rd annual Lionel Trilling Book Award for his book Gauri Viswanathan TC’85, the Class of 1933 Professor of English and Comparative Literature and director of the South Asia Institute, will be honored with the 57th annual Mark Van Doren Award for Teaching for her unparalleled dedication to teaching and to her students. 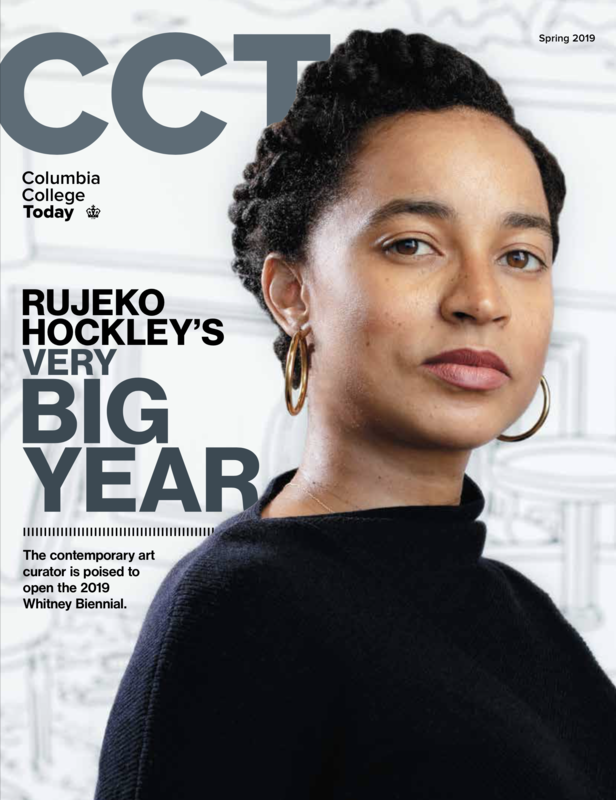 Columbia College announces My Columbia College Journey, a new tool designed to encourage students to reflect and assess their ongoing personal development. College alumni are making their marks in the business world. David Chubak ’02 was named to Crain’s New York Business’ 40 under 40 list; Chubak is head of global retail banking and mortgage for Citibank. Sam Waldo ’10 was named to the 2018 Forbes' 30 Under 30 – Asia list in the social entrepreneurs category; Waldo is co-founder and CEO of Mantra Eyewear. Columbia College is pleased to announce that Academy-Award winning producer and Plan B Entertainment co-president Dede Gardner CC’90 will deliver the keynote address at the 2018 Columbia College Class Day ceremony.